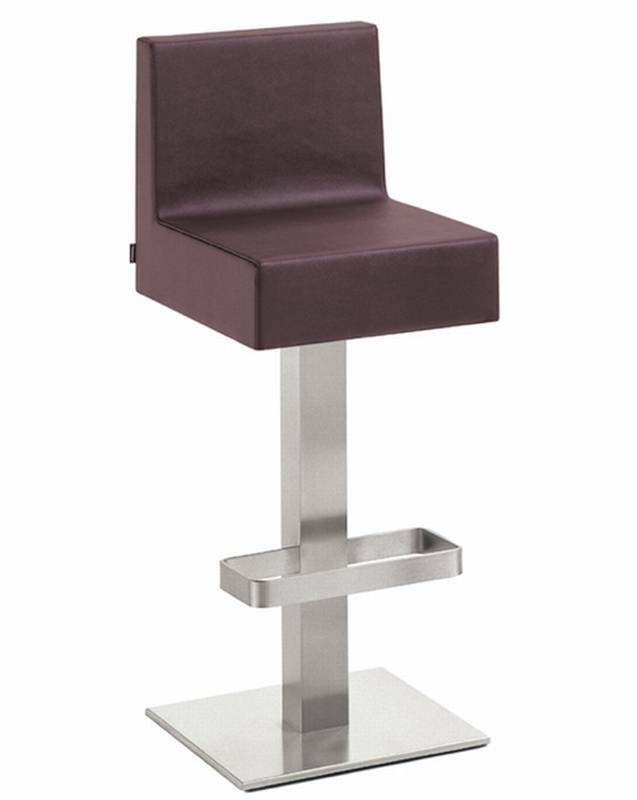 Description Fixed bar stool with a footrest integrated into the column. The seat is upholstered and covered in fabric, leather or simil leather (see samples below for all options). Structure and footrest in brushed stainless steel (matt).